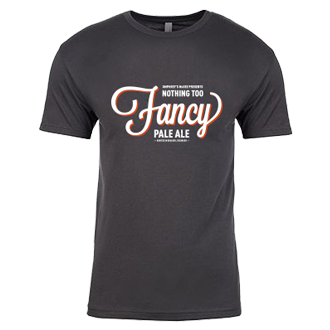 Inspired by the progressive rock band Umphrey’s McGee, we bring you Nothing Too Fancy pale ale, brewed at CO’s 1st craft brewery, Boulder Beer Company. 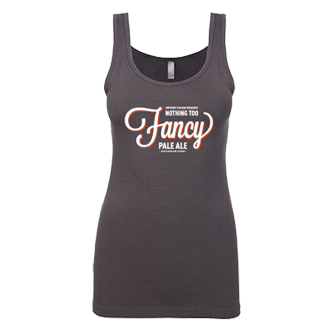 Nothing Too Fancy is a sessionable, light-bodied pale ale brewed with pale barley malt and malted wheat for a soft mouthfeel. The unique Equinox hops provide aromas and flavors of fresh tropical fruits with a subtle peppery touch. Just over 5% ABV and 36 IBU, Nothing Too Fancy is your go-to everyday ale that goes down easy but runs deep. Brewed in collaboration with Rock Brothers and Cigar City Brewing. After 17-plus years of performing more than 100 concerts annually, releasing eight studio albums and selling more than 3.5 million tracks online, Umphrey’s McGee might be forgiven if they chose to rest on their laurels. But then that wouldn’t be consistent with the work ethic demonstrated by the band, which consistently attempts to raise the bar, setting and achieving new goals since forming on the Notre Dame campus in South Bend, Indiana, in 1997. After releasing their eighth studio album, Similar Skin, the first for their own indie label, Nothing Too Fancy (N2F) Music (distributed by RED), the group continue to push the envelope and test the limits. Their brand-new studio album, The London Session, was a dream come true for the members having been recorded at the legendary Studio Two at historic Abbey Road. The stealth recording session yielded 10 tracks in a single day, proving once again, the prolific UM waits for no one.